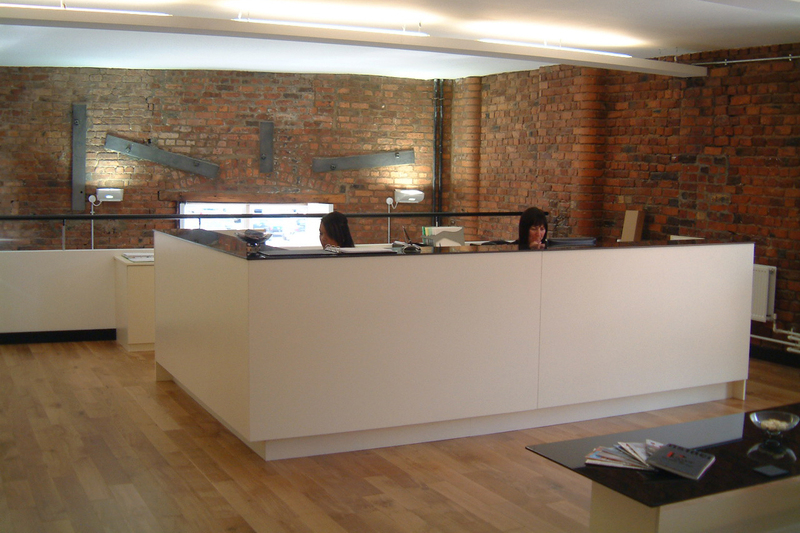 A sensitive yet contemporary fit out and refurbishment of an old mill building in the centre of Manchester provided office accommodation for a structural engineering consultancy. 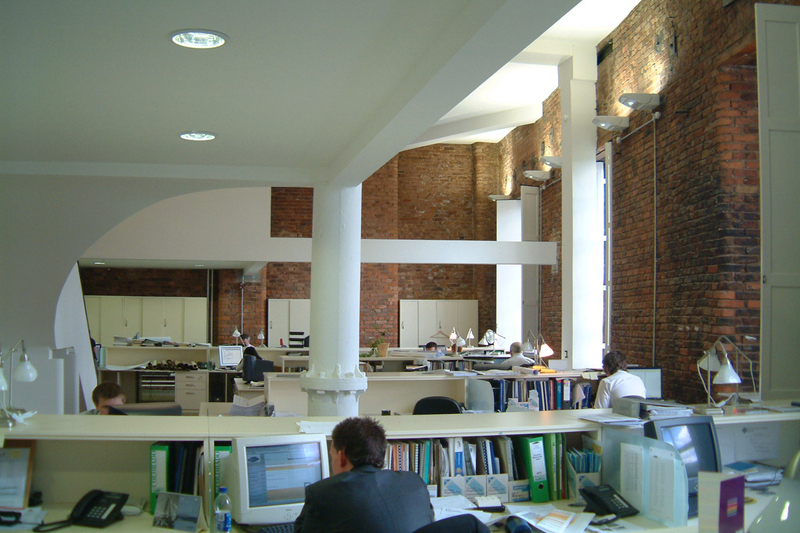 The project inserted a first floor mezzanine within the double height space on which cellular offices and meeting rooms were located. 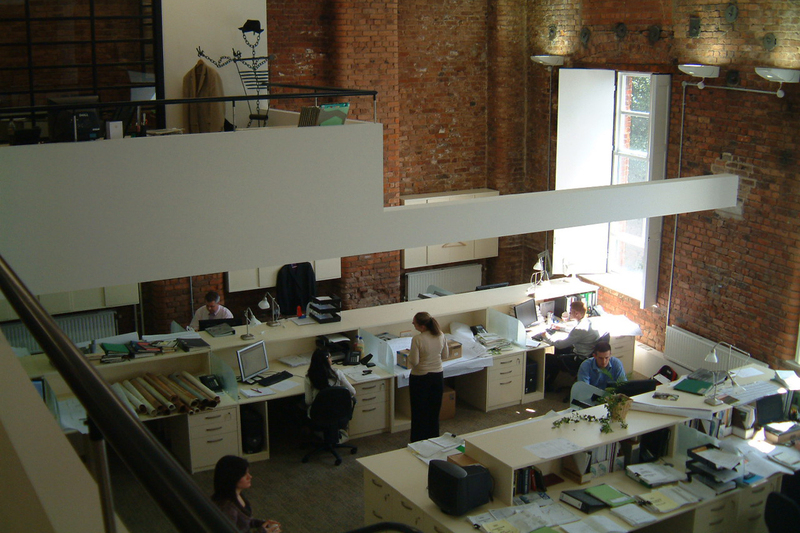 This also allowed visitor access at first floor level, which in turn, created a dramatic welcome to the building overlooking the main space. 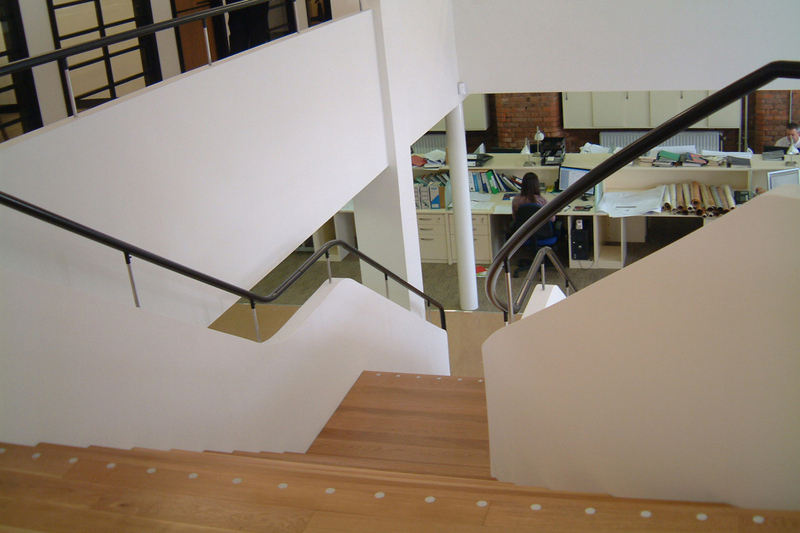 A new staircase, which became the focal point of the space, was also inserted affording efficient circulation throughout the office.